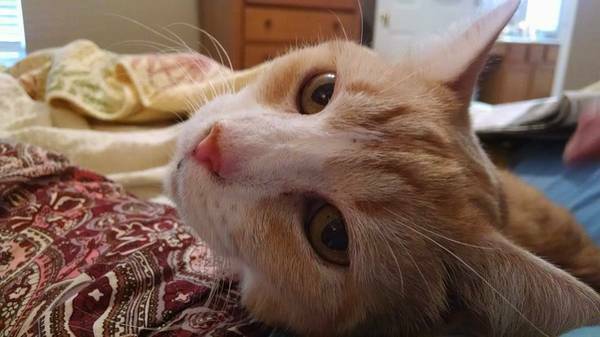 Lost orange tiger cat -- male. Lots of white marking on his face, chest, underside. He is wearing a collar and wearing blue "Soft Paw" nail caps on his front nails. Slipped out of the house August 1. Thank you!